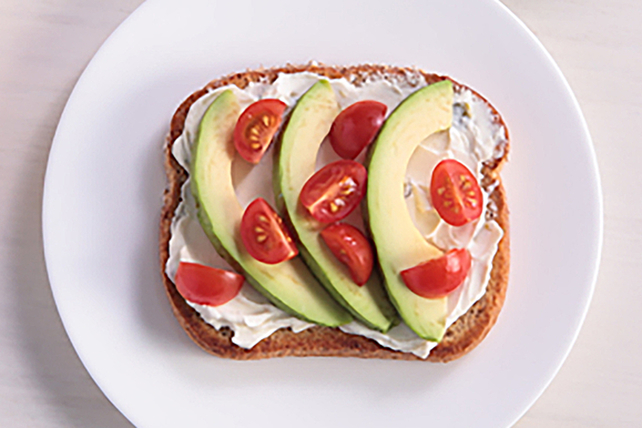 Top a slice of toast with spicy cream cheese, creamy avocado, tomatoes and a sprinkling of black pepper. Our Creamy Jalapeño-Avocado Toast is a great addition to your breakfast or brunch routine. Spread toast slice with cream cheese product. Prepare using Philadelphia Garden Vegetable Cream Cheese Product.